Q. 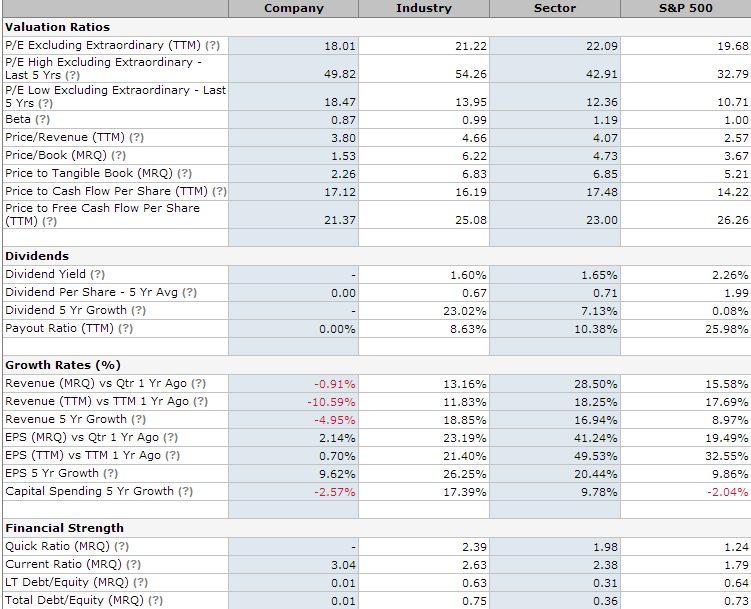 How do I find industry and company ratios? Mergent Online and the Yahoo Finance Industry Center are two places to start searching for industry and company ratios. You can access Mergent by going to the library tab in Canvas and selecting from the A-Z List. You can also find Mergent by selecting "M" on the database page. From Mergent, you can run an advanced search by the same NAICS code, then run a comparison report. or use the "Competitors" tab in Mergent to select companies ans build a list of competitors to compare their ratios. Depending on the assignment, there are additional resources where you will find industry ratios such as the following websites. A link to Thomas Reuters "Corporate Responsibility Indices"
The EPA also audits companies on environmental performance.